BirdFest kicks off the brilliant spring birding season in Sequim. The 15th annual Olympic Peninsula BirdFest will attract bird lovers far and wide. The amazing variety of birds found in and around Sequim makes this a very popular event. In fact the National Audubon Society recognized an area of the Dungeness River an Important Bird Area. Additionally, Sequim’s Dungeness River Audubon Center has been named “Bird Central” for the festival. It is the meeting place for many walks and tours. Plan a weekend in Sequim full of fun birding activities at the 2018 BirdFest, starting April 12th until the 15th, 2018. Dungeness River Audubon Center – This nature center is the hub of activity for BirdFest. Gather here for the April 12th BirdFest kick off party. They will also host bird drawing classes and even a live raptor presentation. Sequim Bay – Discover the wonderful variety of shorebirds on this walk that meets Friday and Saturday at John Wayne Marina, in Sequim. The many species include plovers, sandpipers, Rhinoceros Auklets, and Barrow’s Goldeneyes. Dungeness Spit – Walking this spit is a year-round favorit e for bird watchers. 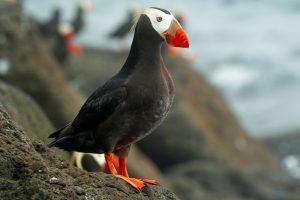 Join fellow bird lovers on Friday and Saturday for this 5.5 mile walk along the Strait of Juan de Fuca. It’s a spectacular viewing area for inshore and offshore wildlife. Look out for loons, grebes, sea ducks, Red-throated Loons, Northern Harriers and Golden-crowned Sparrows. 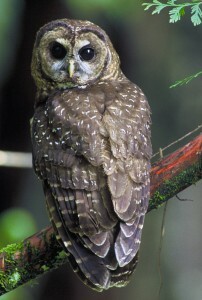 Early Morning and Evening Walks – There are several walks and bike rides designed to hear early morning bird songs or find elusive owls during evening hikes. 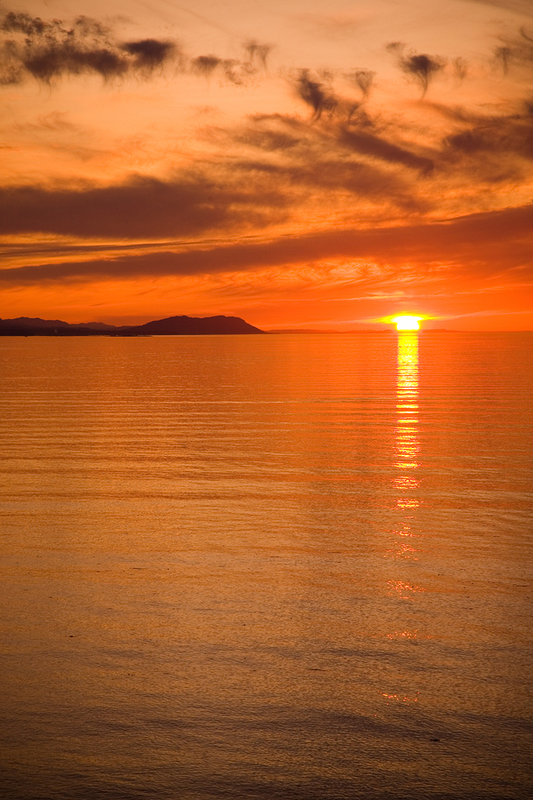 Boat Trips to Protection Island – This very popular Sunday cruise is limited to only 50 travelers and fills up quick! The three hour trip to the island preserve offers many seabird and marine mammal viewing opportunities. 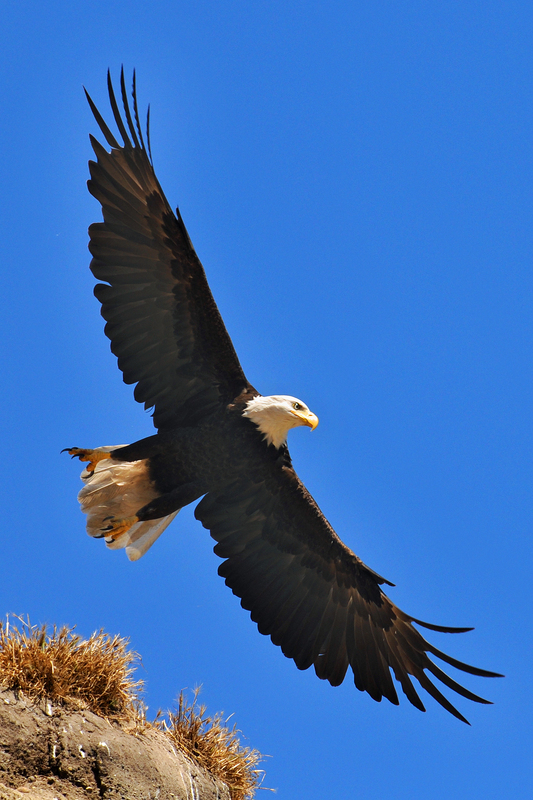 San Juan Island Cruise – Join this 3-day, 2 night cruise, with an expert naturalist guide. During this exciting trip learn more about the whales, seals and seabirds. The cruise departs from the John Wayne Marina in Sequim. Totem Tour – This fascinating guided tour begins at the 7 Cedars Casino in Sequim, and then explores the history, legends, and folktales of the carved columns. April marks the departure of winter birds and arrival of the spring migration. This is a perfect time to spot Sequim’s winter and spring avian residents. This region of western Washington has diverse habitats, and is home to an impressive array of birds. While enjoying the 2018 BirdFest, be sure to explore the charming town of Sequim. It’s easy to see why many bird lovers make their home here. Imagine waking up each morning to beautiful bird songs and the opportunity to add another one to your life list. Contact our wonderful staff at Schwab Realty to find a your perfect sanctuary. 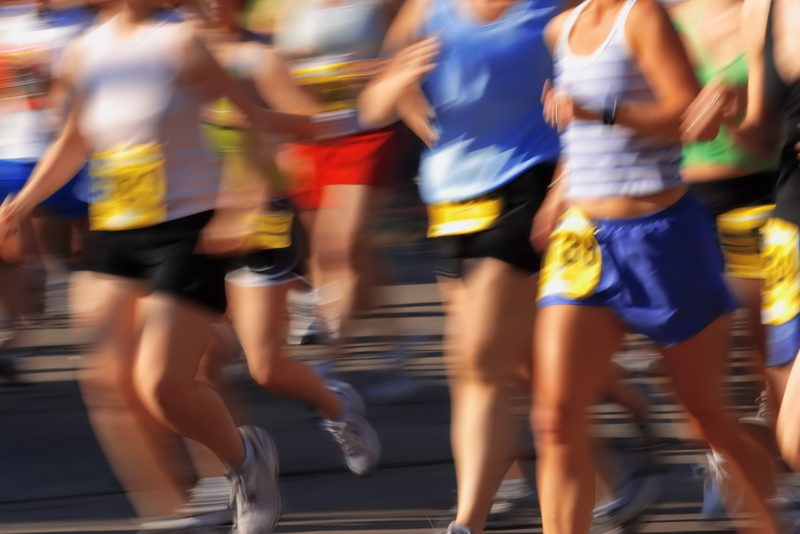 Fitness goals are easily met in an active town like Sequim. Residents love living in the “Olympic Rain Shadow” where there is little rain and abundant sunshine. Outdoor activities are enjoyed year round because of this consistently great weather. However, Sequim also has many indoor fitness options such as gyms, pools, and yoga studios. After a day of hiking, biking, or crossfit, visit a relaxing spa for a massage or facial. Staying healthy in Sequim is fun with the variety of exercise options indoors and outside. Outdoor enthusiast choose Sequim as their home because of its ideal weather. Our residents enjoy more sunny days and less rain than any other region in Western Washington. Staying fit is fun and interesting because of the wide range of choices. Bike the Olympic Discovery Trail for a few miles or all the way to the next town, on a safe, well maintained trail. 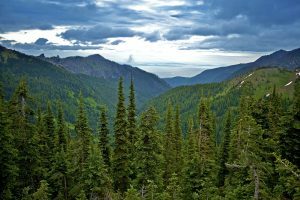 Choose from an endless list of hiking trails in the nearby Olympic National Park with options for all difficulty levels. 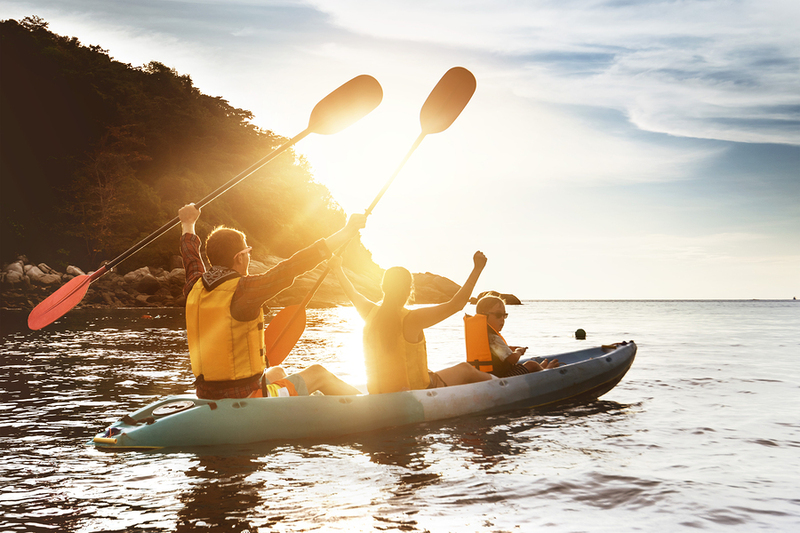 In the warmer months take a kayak out and explore Sequim’s gorgeous coastline. 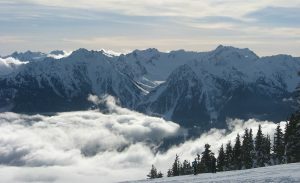 Not to mention snowy adventures at Hurricane Ridge in the winter months. Or maybe a relaxing game of golf with friends is your perfect afternoon. And of course Sequim’s city parks and quaint downtown make for enjoyable walks. Being outside and active is just the way of life for Sequim locals. Anytime Fitness – And they mean anytime! Members can workout 24/7, and feel secure with their 24 hour security system. Certified fitness coaches are also available for one-on-one training. 360 Sports – Here they specialize in crossfit, kettlebells classes and personal training. YMCA of Sequim – There are tons of exercise classes for all abilities and ages here. However, this is the place to swim with its six lane lap pool, family pool, and hot tub. Sports Fit Training Center – Not getting the results you want on your own? Try their trainer-lead system of workout and nutrition goals to reach your full potential. Fit4Life Studio – This small gym packs a full body workout in a small space. Enjoy smaller classes or work with a personal trainer for a more custom session. Strong Points Fitness – This gym focuses on three points of fitness; flexibility, strength and overall health. Northwest Fitness & Massage – Their personal training, and massage practices are designed to improve mobility, flexibility, posture and strength. Perfect Balance – A combination of pilates, TRX classes, and personal training will help you reach your fitness goals. Via Vita Yoga – Walk into this calm, nurturing atmosphere and improve your health and overall well-being with rejuvenating yoga practices. Bodhi Tree Yoga – Their yoga classes are created to improve flexibility and strength, in addition to increasing a mind-body connection. Lavish Day Spa – This spa, located in the heart of downtown Sequim, helps visitors feel more beautiful and relaxed. They offer facials, waxing and therapeutic massages. Sanctuary Day Spa – Be pampered and renewed with whole body treatments that erase stress and calm the spirit. They offer men and women facials and wraps for all skin types. Skin Envy Studio – The plant and fruit based masks here sound good enough to eat! They have facials, waxing, chemical peels, and even teeth whitening. Health and Harmony Massage – Find the perfect therapeutic massage to reduce your pain, stiffness, or stress. Kami Westfall Massage Therapy – They will bring massage therapy to the comfort of your own home. Offering waxing, facials, body wraps, and couples massages. Fitness and healthy lifestyles are part of the culture in Sequim. Living here means having a favorite hiking, snowshoeing or biking trail. Friends and neighbors meet up for a round of golf, a crossfit workout or yoga class. Come visit us and meet our wonderful agents to learn more about living in lively Sequim. The Olympic Mountains surrounding Sequim are turning white with snow and nearby Hurricane Ridge offers adventures for an exciting winter. 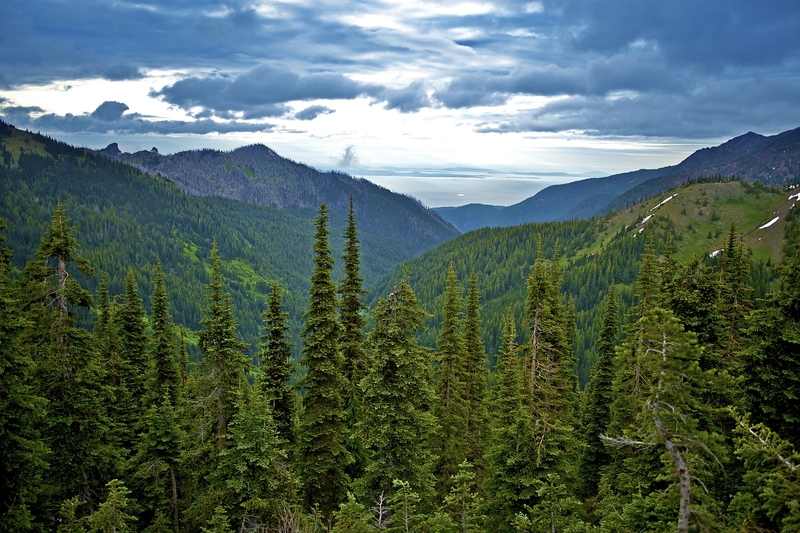 Hurricane Ridge is a popular year-round destination with the amazing views at a 5,242 elevation. In the winter it’s transformed by an annual average snowfall of 400 plus inches. Just an hour’s drive from Sequim, Hurricane Ridge has all the winter sports from downhill skiing to snowshoeing. Be sure to visit Sequim on your way to your winter adventure in the Olympic Mountains. After the holiday parties and gatherings, peaceful winter hikes are a welcome break that refresh the spirit. Treat visiting family or friends to the natural beauty found near Sequim or escape alone on the quieter winter trails. Discover the charms of early winter hikes that are less crowded but still hold so much seasonal beauty. This time of year adds a dusting of snow to a waterfall hike or a lacework of ice crystals along a forest river. Breathe in the fresh air on these five wonderful winter hikes. Sequim has everything that makes a family friendly community. Here you will find the most beautiful surroundings with sunny, mild weather, that creates the perfect setting for active families that love the outdoors. The safe, friendly neighborhoods also include great schools and excellent doctors. And there are many opportunities for kids such as sports, arts and clubs. Sequim has a lively downtown with fun shops and family-friendly dining, and there is a large choice of romantic restaurants for those lovely date nights. In addition to our many festivals, Sequim families celebrate the holidays at the downtown trick-or-treating and tree lighting events. Visit Sequim for a family outing and see all we have to offer. If flying is your passion, then Sequim is the perfect setting for your next adventure. We have a wealth of natural beauty including: a sparkling coastline, expansive forests and the stunning Olympic Mountains. All these gorgeous sites can be enjoyed by hiking, biking and boating. But some Sequim residents know the best views are from high in the air. Not only is our scenery spectacular, we also have the perfect weather for flying. Afterall pilots gave Sequim its nickname the “Blue Hole”. Our dry weather consistently creates the favorable conditions needed for VFR approaches and this is why Sequim has become a destination for aviators. 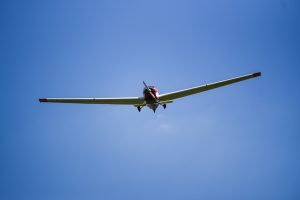 Here the freedom of flying is a way of life. Sequim is nestled in the shadow of the majestic Olympic Mountains. As the temperatures rise, the snow begins to melt from the peaks and hiking season begins. The mountain meadows explode with wildflowers and the forest rivers rush with new, clear water. Summer is the perfect time to explore what these hikes have to offer. Many of the best hikes on the Olympic Peninsula are an easy drive from Sequim. Sequim has an abundance of natural beauty, easily hiked from its doorstep. 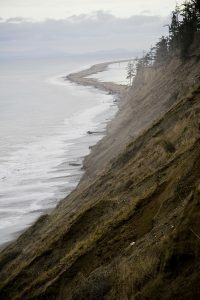 These local hikes can be found in our previous blog posts: Bike the Olympic Discovery Trail and Hike the Dungeness Spit . However, if you’re looking for more adventure with stunning views, here are 5 hikes that may tempt you. Since summer is almost here, it’s the perfect time to grab your bike and explore Sequim. In fact, the League of American Bicyclists recognized Sequim as a Bicycle Friendly Community in 2014. Locals and visitors can bike our downtown full of vibrant shops, restaurants and parks. In addition, our biking community is most fortunate to have easy access to the Olympic Discovery Trail. 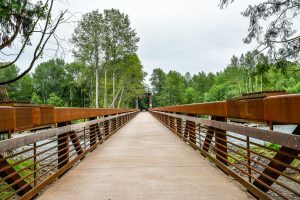 This scenic trail, at almost 130 miles long, connects Port Townsend to Port Angeles, with Sequim residing at the mid-point. The Olympic Discovery Trail is wide, well maintained, frequently paved and for non-motorized vehicles. While biking on it you can enjoy all the natural diversity of our region such as: mountain views, lush forests, rolling farmlands, peaceful valleys, pristine mountain rivers and stunning coastal views.